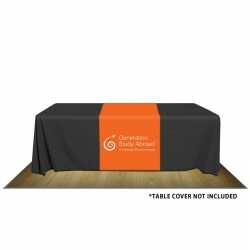 Browse our complete line of 8ft table throw covers with options including 1-color or 2-color imprinting, full color imprinting or without imprinting. 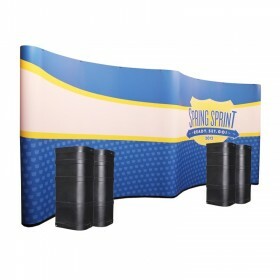 Machine washable and flame retardant, these throw covers provide excellent branding opportunities for your trade show booth. 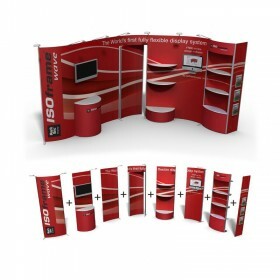 Full Size Fabric table throw cover for standard 8ft exhibit folding table. 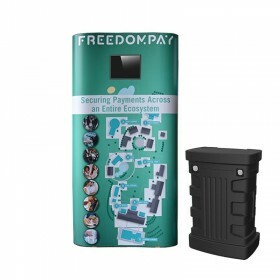 Includes 1-color Thermal Imprint. NO SET UP FEES ON YOUR READY TO PRINT ARTWORK. 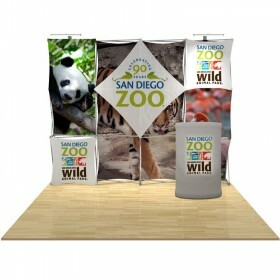 Open Back Fabric table throw cover for standard 8ft exhibit folding table. 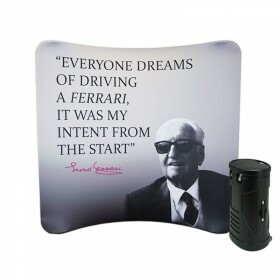 Includes 1-color Thermal Imprint. NO SET UP FEES ON YOUR READY TO PRINT ARTWORK. 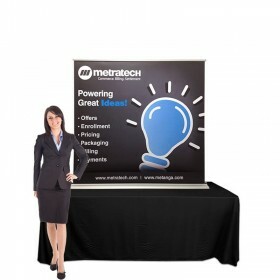 Full Size imprinted table throw cover for standard 8ft exhibit folding table. 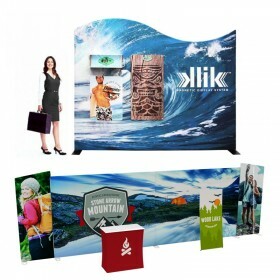 Includes Dye Sublimation image imprint on all 4 sides. 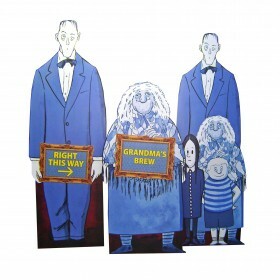 NO SET UP FEES ON YOUR READY TO PRINT ARTWORK. 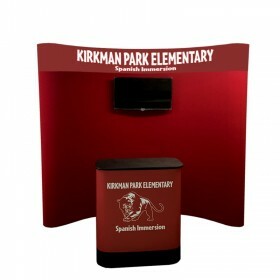 Open Back Table cover for standard 8ft exhibit folding table. 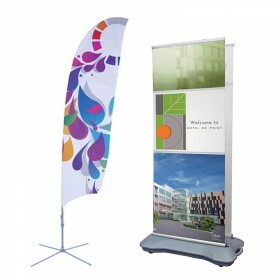 Includes Dye Sublimation Full color Imprint on top, front and 2 sides. 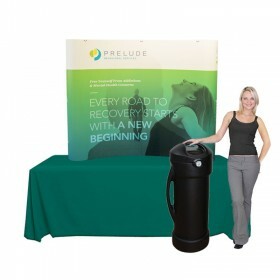 NO SET UP FEES ON YOUR READY TO PRINT ARTWORK. 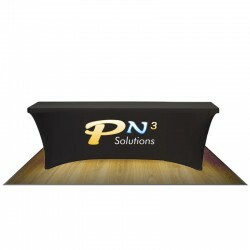 8' x 30" Stretch fit Table cover contours to all 4 sides of the table. Polyester-Spandex Blend fabric, flame retardant. PRINTING NOT INCLUDED. 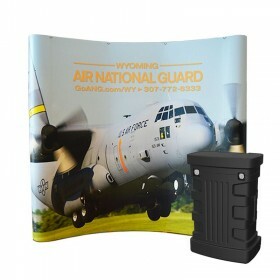 8' x 30" UltraFit Full Color Front Panel Printed table cover. Contours to all 4 sides of the table. White Polyester-Spandex Blend fabric, flame retardant. NO SET-UP FEES WITH READY TO PRINT ARTWORK. 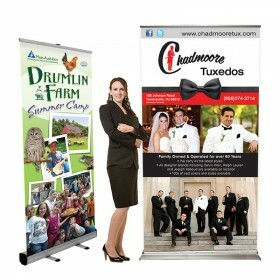 8' x 30" UltraFit Full Color/Full Bleed Printed table cover. Contours to all 4 sides of the table. Polyester-Spandex Blend fabric, flame retardant. 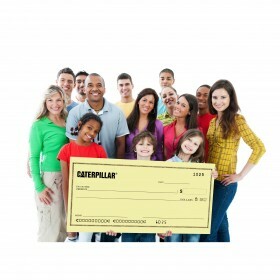 NO SET-UP FEES WITH READY TO PRINT ARTWORK. 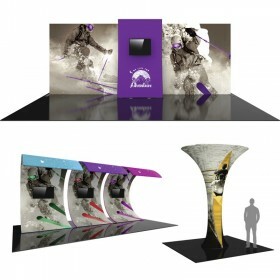 Custom Dye-Sublimation Printed Poly-Knit Runner to fit any standard table. 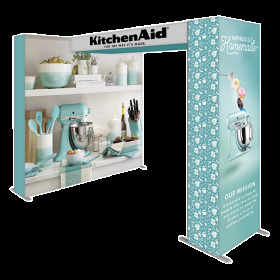 Dimensions: 32" wide x 66" long. 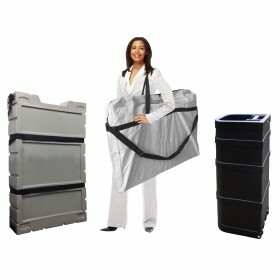 Machine washable - fold for storage. *Table cover sold separately - not included. 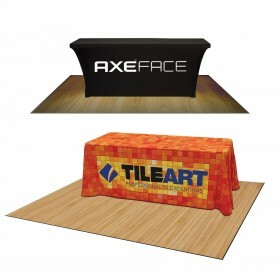 Custom Dye-Sublimation Printed Poly-Knit Runner to fit any standard table. 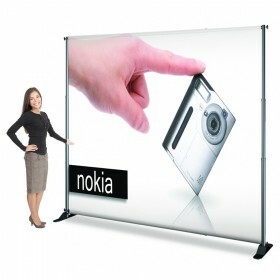 Dimensions: 32" wide x 85" long. 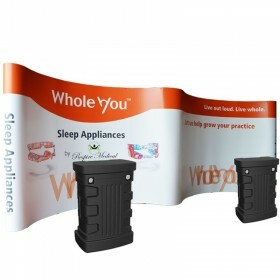 Machine washable - fold for storage. 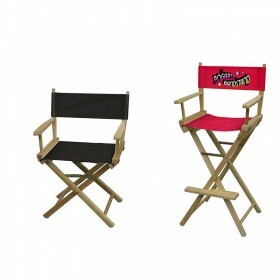 *Table cover sold separately - not included. 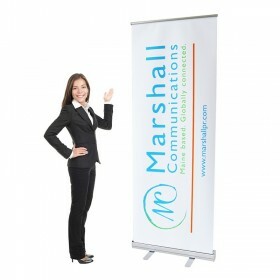 Custom Digital Printed Poly-Canvas Runner to fit any standard table. 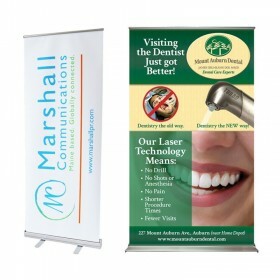 Dimensions: 32" wide x 66" long. Roll for storage. *Table cover sold separately - not included. 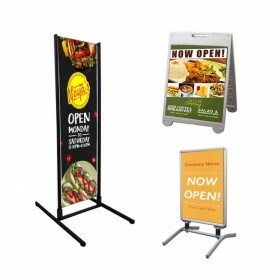 Custom Digital Printed Poly-Canvas Runner to fit any standard table. 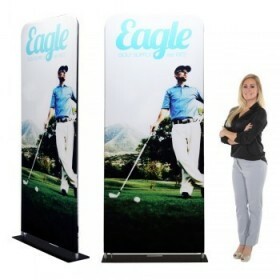 Dimensions: 32" wide x 85" long. Roll for storage. *Table cover sold separately - not included. 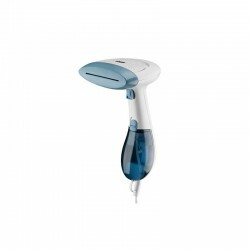 Effective on all types of fabrics, linens and draperies, this handheld steamer is great for any exhibitor on the go. 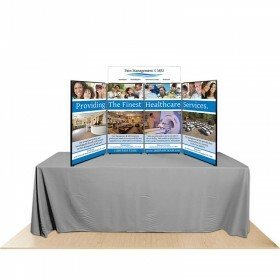 Embrace professionalism at your trade show by showing off your brand to booth visitors with any one of our table covers, or table runners for 8ft tables. 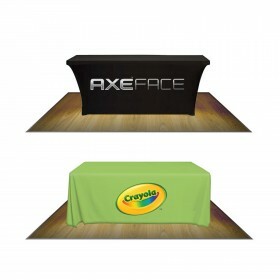 Go from boring to branded with any one of our professional 8ft table cover options. 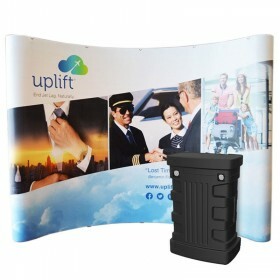 Conveniently disguise boxes, unused items, carrying cases and personal items underneath your trade show table. Our soft poly twill fabric is 100% woven, wrinkle resistant, soft to the touch, comes in 56 available colors and are finished with rounded corners keep table cover from "dragging" the floor. Plus, our poly twill table covering fabric meets all NFPA 701 small-scale fire retardant standards. 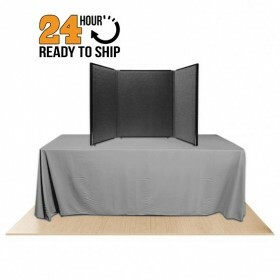 As always, we have kept our 4-day turnaround as standard and offer rush services to ensure your 8ft table cloth is delivered on time. 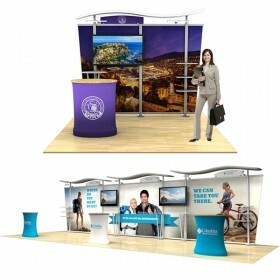 Here at Affordable Exhibit Displays, we provide a wide variety of trade show table cover solutions, including table throws, table runners, convertible table covers fitting both 6ft & 8ft tables, full color custom logo imprinting, and deadline friendly production times for those who need their table cover shipped immediately. 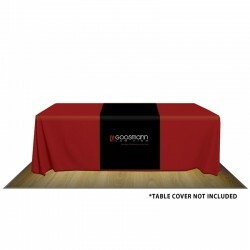 Our PermaLogo table throws are created by using computer cut vinyl material, commonly used on sports uniforms, such as football or baseball jerseys. 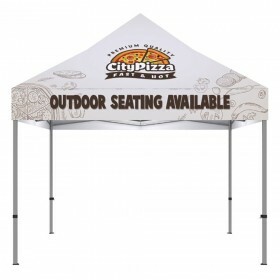 The vinyl is transferred to any color poly twill fabric with a high-temperature heat press which permanently adheres the vinyl to the fabric. 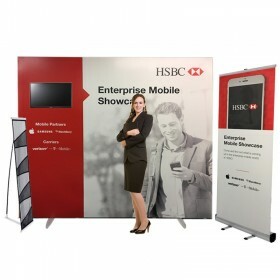 This application is able to put up with the rigors of repetitive use and abuse of any trade show schedule and will not peel, crack or fade with use. It can be washed, dry on low heat and steamed. The PermaLogo table cover logo application is available in 1-color and 2-color 4-sided closed back table cover options or 1-color and 2-color 3-sided open back table drape options. 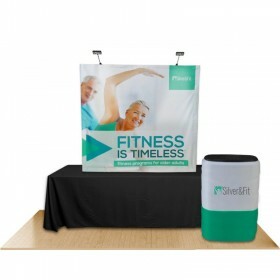 Custom logo printed table coverings are the perfect way to extend your brand’s look by offering an inviting space to potential clients or other exhibitors. 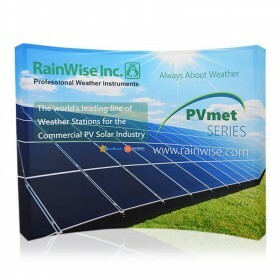 When you order a custom table cover with custom graphics from AffordableDisplays.com, the printing price of your art file is included and no additional fees will apply regardless of how many colors you need us to print. 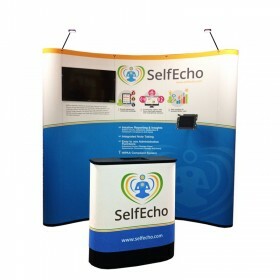 With a custom imprinted table throw you can present your brand image with professionalism even from a long distance. 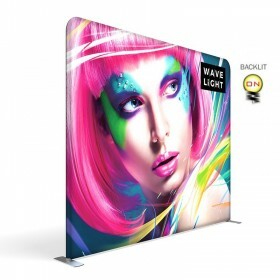 We offer a full color dye sublimation logo on white and a full color, full dye sublimation printed 6ft table cover options which is great for PMS color matching, if required. 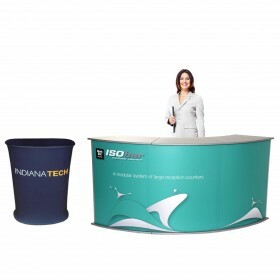 Vibrant, full-color trade show table covers can set up your trade show booth space for success. 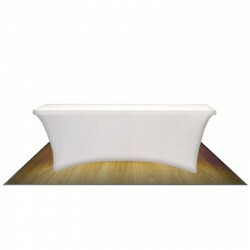 8ft Contour table covers offer a contemporary and sleek appearance. 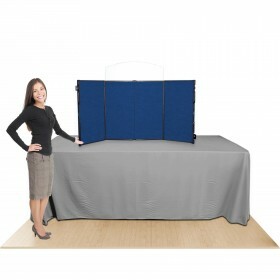 With their ability to hold tight, conform and shape to the standard folding table underneath the contour stretch table cover option make a great accessory to have on hand. 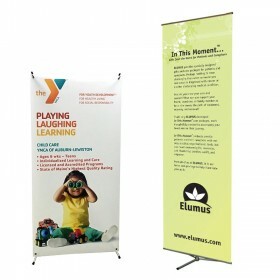 Available in unimprinted, full color printing on white, or complete full color dye sublimation printing. 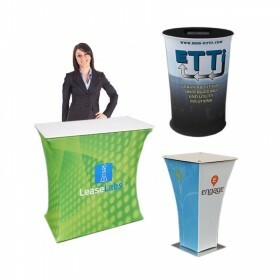 These contemporary table covering options can separate your brand from a competitor's. Don’t forget about table runners with custom imprinting. 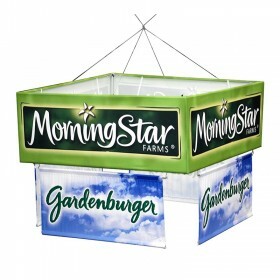 Their popularity continues due to their affordable price tag while still making a splash when draped over a trade show table. 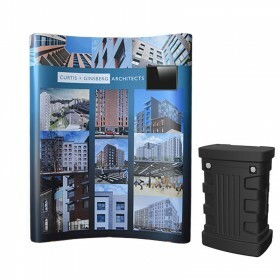 Choose from either a printed table runner that is able to be folded for storage and are great for heavy or long term use or a table runner that can only be rolled for storage which is great for low or short term use. 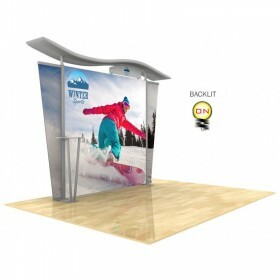 Either option can help brand your trade show floor space to further let attendees know who your booth space represents. 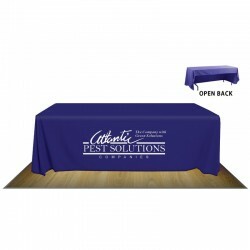 Not every event may need a custom printed table cloth that’s why we also offer blank unimprinted table covering options as well. 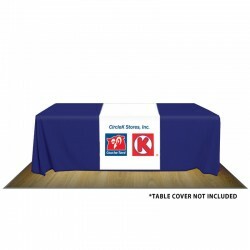 Choose from the full table cover that drapes over all 4 sides of the table, an open back table cover that drapes over 3-sides of the table or the fitted contour spandex fitted table cover. 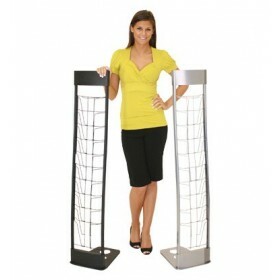 All are available in multiple fabric color choices. 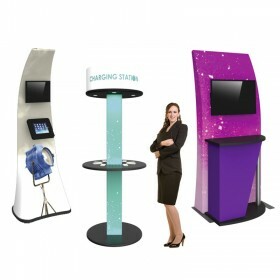 Our customers include trade show events, event planners, hospitality industry, hotels, resorts, convention centers, arenas, exhibitors, caterers, DJ's, retail businesses, small and large corporations, government entities and individuals wanting quality table covers for any special event. 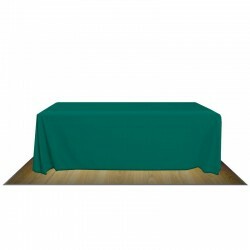 As always we have kept our 4-day turnaround as standard and offer rush services to ensure your 8ft table cloth is delivered on time. 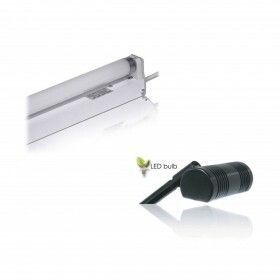 Call 1-800-723-2050, contact us, email [email protected] or browse online 24/7 today!